It seems that my holiday streak of luck is pitching some last ditch wins! Thank you to author Rosalie Lario for hosting a contest which made it possible for me to win signed paperback copies of Mark Of The Sylph and For Love Of An Angel, a heart ruby pendant on a gold chain, bookmark and fridge magnet! Source: Info in the About Mark Of The Sylph was taken from GoodReads at https://www.goodreads.com/book/show/13584848-mark-of-the-sylph on 11/02/2014. Michael is one of twelve angels who have been outcast due to their determination to protect humans. In order to preserve his immortality and strength, he must find a mate with angel blood. Eva Smyth has never believed the propaganda spouted by the Consortium—the elite system of guards put into place once angels took over reign of Earth—but she never expected to learn the angels plan to eradicate all of humankind, or that she herself is part angel. Joining Michael means living a life on the run, at war against the angels and hunted by the Consortium. Eva must decide whether to risk it all...for love of an angel. Source: Info in the About For Love Of An Angel was taken from GoodReads at https://www.goodreads.com/book/show/11333950-for-love-of-an-angel on 11/02/2014. 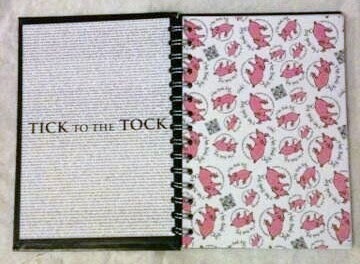 Thank you to Matthew Turner for hosting a contest which made it possible for me to win a Tick To The Tock spiral notebook! 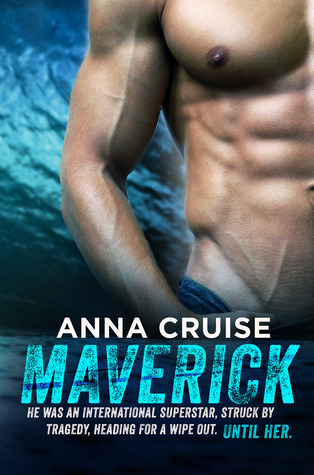 Thank you to author Anna Cruise for hosting a contest which made it possible for me to win a signed paperback copy of Maverick! Source: Info in the About Maverick was taken from GoodReads at https://www.goodreads.com/book/show/17874662-maverick on 11/02/2014. Rosalie Lario - Thank you for the books, the necklace and swags! !